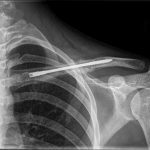 The system offers a limited surgical exposure that minimizes soft-tissue dissection, periosteal stripping, and scarring. 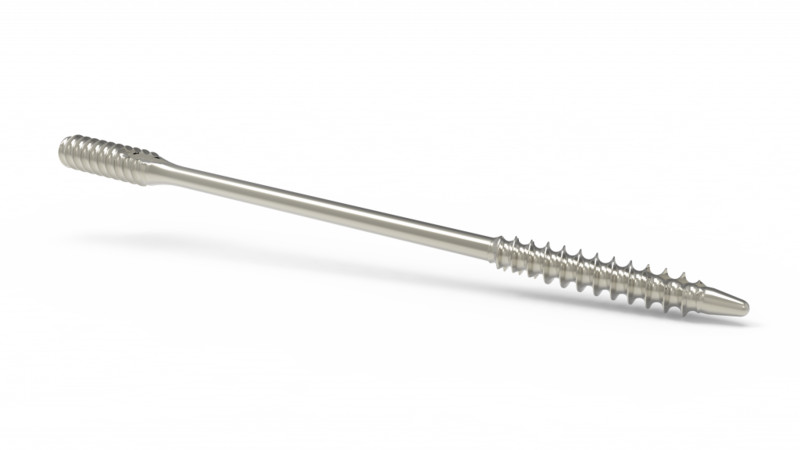 Designed to reduce prominent implant hardware and skin breakdown. 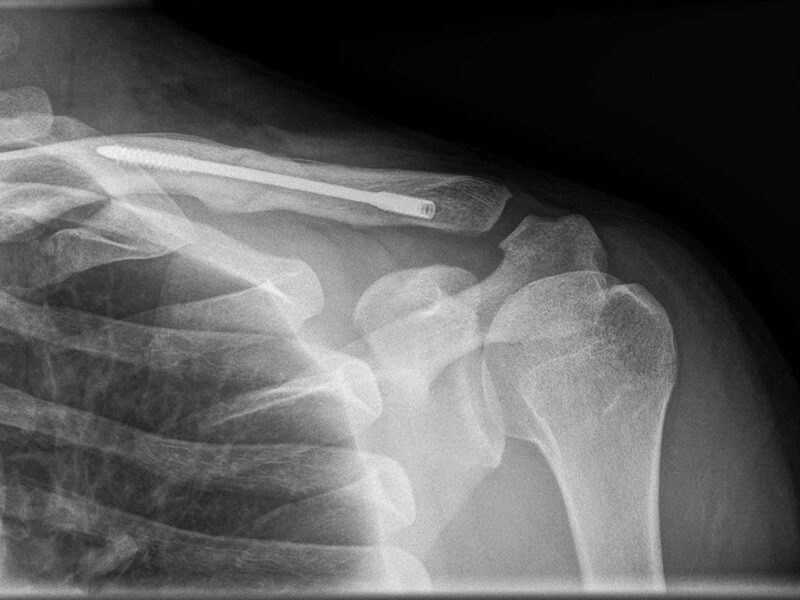 Interfragmental compression is achieved by the differential pitch on the tip and tail ends of the Dual-Trak Clavicle Screw, as the threads exert an axial compression force at the fracture site. 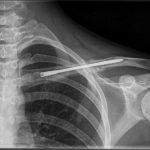 The Acumed Dual-Trak Clavicle Screw System is a fully intramedullary solution for simple middle third clavicle fractures. 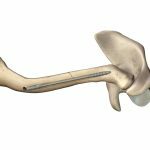 Designed to provide fracture stability and restoration of anatomical alignment, this minimally invasive implant may reduce hardware irritation and provide and maintain compression—which can benefit both the patient and surgeon. 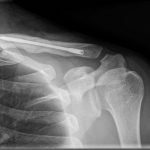 The Acumed Dual-Trak Clavicle Screw System and the Acumed Clavicle Plating System provide comprehensive solutions to treat a wide variety of clavicle fracture patterns. 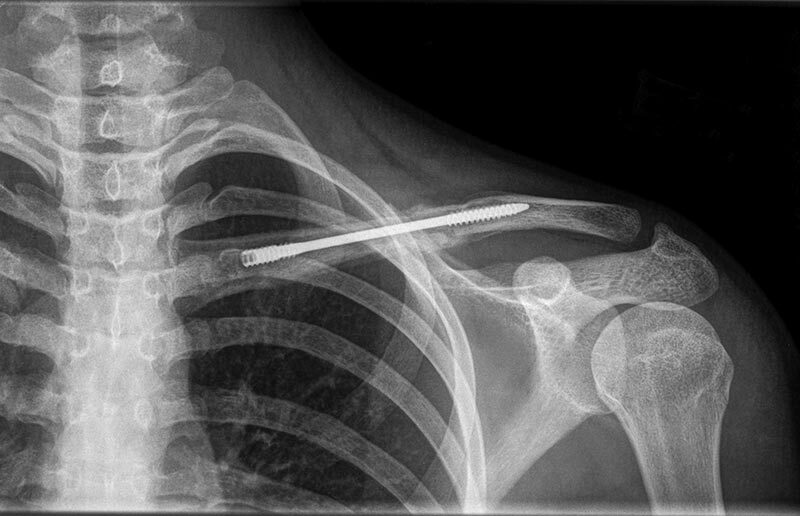 An alternative to clavicle plating, the system is designed to reduce prominent implant hardware and soft tissue irritation. 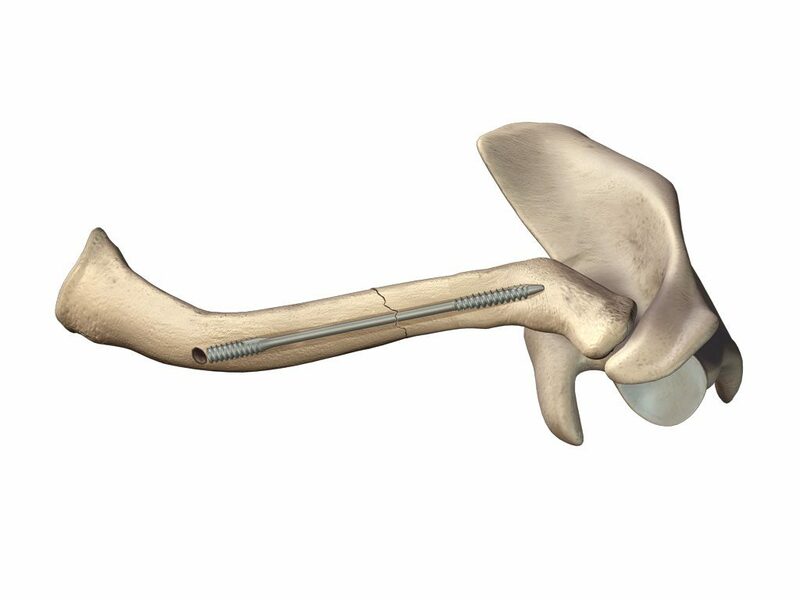 Interfragmental compression is achieved by the differential pitch on the screw’s tip and tail ends. 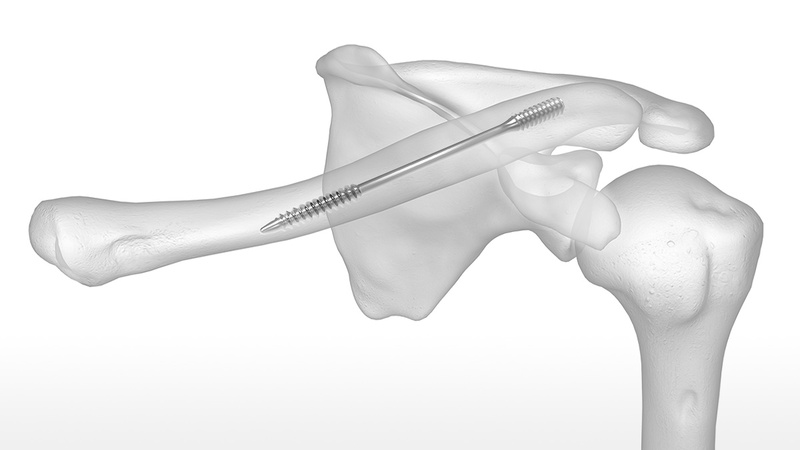 This design feature on the screw threads is intended to help ease insertion and removal. 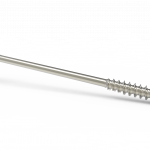 A comprehensive array of screw diameters and lengths offers options to accommodate the various patient medullary canal sizes. 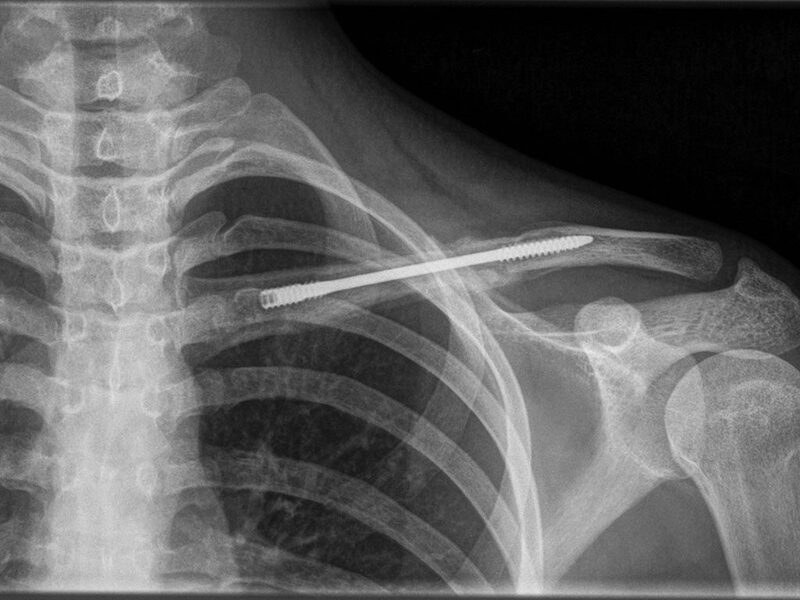 Screws can be implanted in a medial-to-lateral or lateral-to-medial direction based on need. 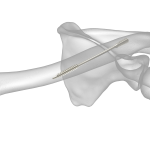 An overview of Acumed’s Dual-Trak Clavicle Screw System, designed to provide compression at the fracture site and resist migration. 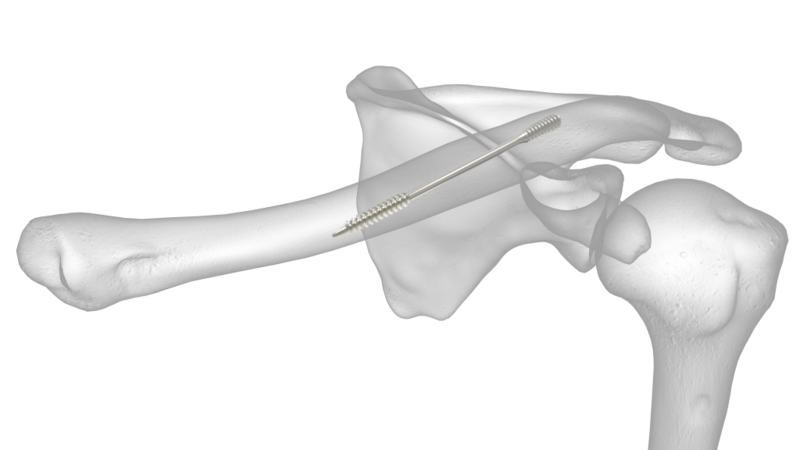 The system minimizes soft tissue disruption while providing fracture stability and restoration of anatomical alignment.